A photographic filter for your face, BECCA’s exquisite Soft Light Blurring Powder is the key to Insta-ready skin. 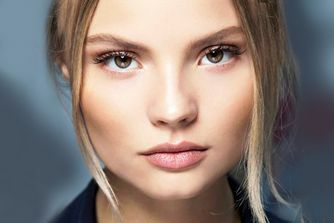 A featherweight finishing powder in two shade options, this pot of loose ‘soft focus’ pigments grants a flawless skin finish – blurring imperfections and dispelling dullness to create a beautiful ‘lit from within’ look. 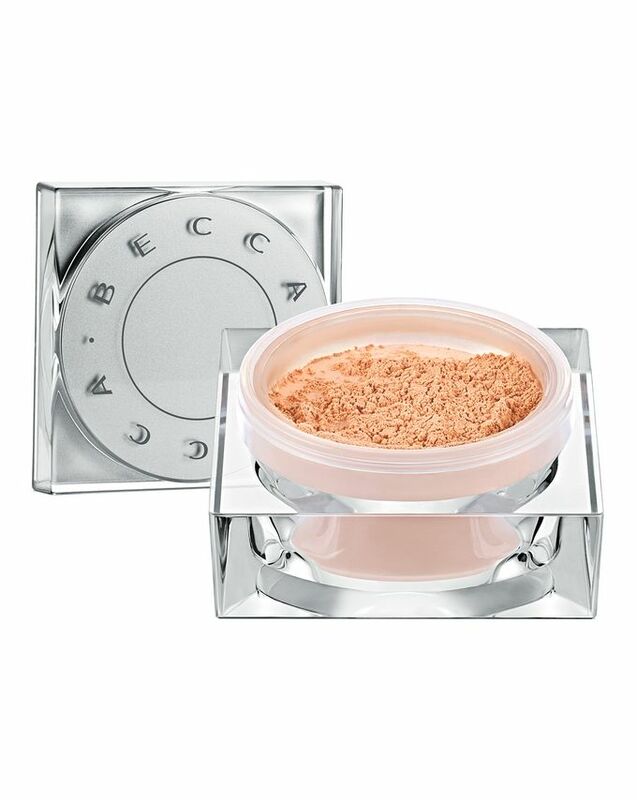 A real-life Insta-filter for your face, BECCA’s Soft Light Blurring Powder boasts ultra-fine ceramic microspheres to scatter light and create the illusion of a smooth and even visage. In two ultra-flattering, translucent shades – soft peach ‘Golden Hour’ that counteracts dullness and uplifting ‘Pink Haze’ that adds bright vibrancy – this gossamer-light veil fixes makes up and ‘mops up’ the oils to prevent shine and keep your face flawless from dawn until dusk. It’s also ideal for refreshing your make up post-work – a light dusting has an immediate skin-beautifying impact. Just use a fluffy brush (BECCA’s Kabuki Brush is perfect), to apply and diffuse the product seamlessly – no filter needed! Swirl a small amount of Soft Light Blurring Powder into the lid with a brush. Tap off any excess powder. Apply to the forehead, cheeks, nose and any area of the face you wish to ‘set’. I am mature and I did not want a shiny powder, this is great as it give a flawless coverage and does not sit in fine lines. I use the golden shade as I have a pale olive skin in the winter and wanted something just to give a touch of warmth. I would highly recommend this powder, it is far better than any of the mineral powders I have used. I bought this product to set my face. First of all there is nothing golden about this it is just pink talchy mess. Does not move or blend after placement. Packaging is actually horrible as well, just chunky and inconvenient. Like the previous comment didn't want to be the 1st to leave a bad review. Ordered this as sounded amazing and bought into the media frenzy of it. Awful powder, sits on skin and sank into lines and pores. Was flaky/patchy and one of the worst powders I have EVER used. Avoid. Try Clinique blended loose powder-amazing. I was so excited to try this because I really hoped it would blur everything. It did nothing to be honest, just a little bit colour, that's it. My pores seemed bigger and also it made my makeup look cakey. For the first 2 hours it is ok, but after that, my face got so oily and it did start to turn orange somehow. I did order two because I will give one to my mum and see how it works for her. The best powder is still the W3ll bio brightener. Oh and the package looks nice but it is too big and takes too much space in the makeup bag. I should have read reviews about this product! I was looking for a good powder for combination oily skin that wasn't white (I hate them, always leaves a white cast) okay is a good powder but is too dark for my skin tone. Now I have a good powder that I can't use until summer. Great. For the love of god, please do more tones, this is ridiculous. From its description, I had my doubts about this powder, but until I tried it, immediately I fell in love with it. I had combination skin with some uneven skin tone, after my daily routine with primer, foundation, and setting with this powder is a must. It keeps my skin matt (blurring effect) for quite some hours. It has a soft light effect to it, so sometimes I could just wear my primer with color moisturizer with this powder than I have very sheer natural look. I will definitely purchase for a second time. I didn't want to be the first to leave a negative review for this product, but I bought this powder due to the hype for Becca products and due to the "blur imperfections" claim. No difference whatsoever for me. I don't put a lot of makeup on a regular basis, so after two (light) layers of this powder, my skin feels cake-y and darker (as a colour), so the claim that one shade fits all is not valid either. On my skin it looks shiny/oily not dewy. Worst of all, it also breaks me out. The packaging is not convenient either to carry around. Very disappointed by this product given the price. Maybe it's just not for me.